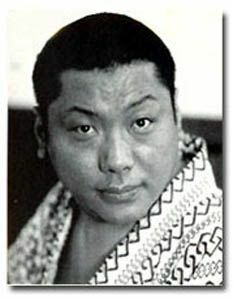 In his brief talk on “Nowness” prefacing the final edition of Zeitgeist, Chogyam Trungpa Rinpoche says that perhaps our inability to face the power of the present moment is what accounts for our needs not only for religion, but also for political activity like marching in the streets, complaining to our fellow humans, or voting for the presidents. Recently, I have been bemused by the extremely emotional flocking of otherwise self-identified progressives to the banner of Barack Obama, falling all over each other to find the the most florid superlatives for him, comparisons to JFK, to Martin Luther King, to Lincoln, FDR, Gandhi, etc. His speeches are being given names, lauded for their frankness, courage and vision. From my close readings, however, they seem shamelessly sanguine, cynically manipulative – pressing all the right buttons, riddled with generalities and inaccuracies, avoiding difficult truths while portentously embracing easy ones, and saying almost nothing specific about the political programs he would implement. Beyond this, examination of his political career suggests that he is a creature, since college days at Columbia, of Zbigniew Brzezinski, and his powerful faction of the Democratic Party/Intelligence nexus which is deeply involved in U.S. foreign Policy. When I mention any of this to people who are attracted to Obama’s candidacy, I almost always hear something to the effect of “So what do propose to do? Nothing? Where do you hope to find a perfect candidate?” Sometimes, people react very emotionally on having the hope that they’ve now placed in Obama questioned. I tell them that I don’t know WHAT I will do. This whole situation is not about institutional positions of power, or about representative democracy. It’s about DIRECT democracy, but not through any organized system of voting, or through information democracy, the control of physical media by popular sentiment. It’s about democracy in the form of inner creativity, the direct, moment to moment consciousness of all of humanity, and more than that, of all of the living beings in our reality continuum. What we see appearing sensorially each instant as the world of form before us is already the perfect effect of how all of us see the world and ourselves. We are now ready to see more deeply, to see the formless source of this bountiful creativity within ourselves, to return our attention to that and see the inherent beauty and wonder without the mediation of our interpretations and filters. Then, as we learn to stop projecting blame on ourselves or others for the state of a world we subconsciously demand should be different, our creativity will be freed up to flow into the world unconditionally. We will learn to vote with our hearts.